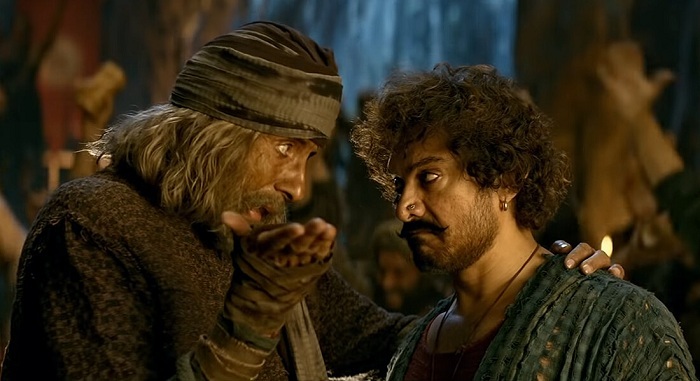 Thugs of Hindostan has shown huge drop on Monday (5th day) at box office. Film has collected an approx 6 crore nett on day 5 as per estimates. It is shockingly low! Drop from Sunday is approx 65-70% which is huge. Drop from First Day (Thursday) is colossal 89%. However ticket prices of TOH is much lower on Monday. With colossal fall on Monday, film fate is sealed. Film is an outright flop. Film now is struggling to touch 150 crore nett in India. 175 crore mark is looking like a distant dream now. Film to reach 175 crore mark will need excellent trending from Monday level. Film should touch 140 crore nett mark in the extended first week. Trending so far suggest lifetime collection may touch 150 crore nett in India. But again even if it touches that landmark also, it will not collect much after that. Monday -> 6 crore nett (est). Total -> 129 crore nett (approx). Total collections from Hindi version till date is 122.5 crores approx and not 128+ crores as being reported here.. c’mon yaar addatoday guys?? You are blatantly reporting 6 crores more over first 5 days itself .. c’mon this is frustrating !